Toronto indoor photography locations - stay warm on your winter wedding day. Congrats, you decided to plan a winter wedding! If you are like us and not ready to brave the bitter chill check out a few of our favourite Toronto indoor photography locations. Are you still looking for a venue? Then you are in luck – I have included a list of venues with stunning interiors for photography in a separate list at the bottom. Trinity College has that quintessential old-time university feel. 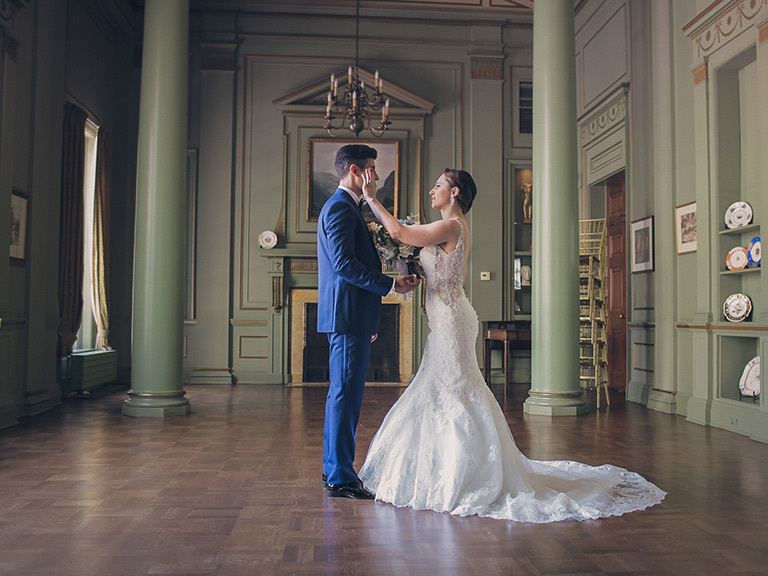 The beautiful Jacobethan and Tutor Revival architecture styles create a perfect space wedding photos. Permit: $150.00/hour plus HST, you can book the permit here. Hart House is an arch filled, cedar-wood heaven with beautiful hallways and spacious rooms. The moodiness of the space is perfectly accented by Gothic architecture elements. Permit: $400.00/2 hr plus HST, you can book the permit here. This stunning Victorian green house is a perfection with fragmented domes, old glass designs and symmetrical vistas. Not to mention the main event, luscious greenery. Honestly, this is as close to the summer wedding photoshoot location as you can get in the city. Added bonus, its super warm inside! Permit: You can book the permit here. 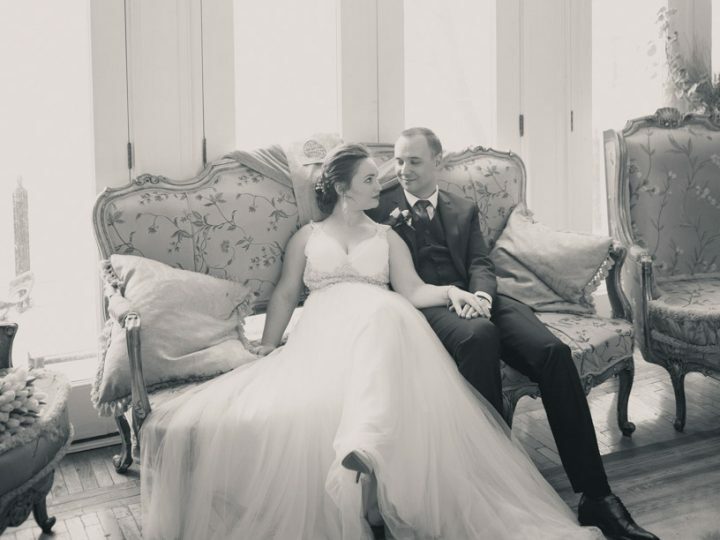 With a reputation of the only castle in the city, Casa Loma is sure to provide the perfect backdrop for your fairytale wedding. Sky-high ceilings, mosaic windows, winding staircases, crystal chandeliers, you can have it all. The only limitation is that the permit costs and times vary based upon availability as it is a tourist attraction. So you might have to book in advance. If your style is leaning towards minimalist, urban look, than Brookfield Place is totally your jam. The white frames of the architectural arches permeating through the main walkway are like stunning giants in an urban jungle. Got carried away there (thanks – English Bachelors degree). Long story short, check it out for yourself. Permit: No permits are needed at this time. This stunning chapter of Old Toronto is a perfect spot if you and your hubby to be happen to be foodies. The market is all about various delicious goodies from local vendors. So if you want to make your photoshoot all about food, this is the spot for you. Permit: Their website does not address the permits. I would suggest reaching out to confirm. You might recognize this hidden gem, since it has been used as a filming location for period drams. It is a great option for a quaint cozy theme, with Victorian archways and floral accents of wallpaper and furniture. Permit: This page has the booking contact info. Toronto’s Grand Central – Union Station has the art deco vibe of 1920-30’s and is sure to suit your taste if you are into vintage old city vibe mixed in with urban chaos. The vastness of the space is so breathtaking, yet it has enough interesting details for those intimate shots as well. Permit: Permit is needed, contact info@torontounion.ca. A frequent venue for Great Gatsby parties, Spadina Museum is a stunning location for brides going for a more subtle vintage theme. Permit: Interior-Exterior: $250/hr + staffing. More info here. This rustic vintage location is found in the middle of the High Park. Although it is a smaller building in size and might not offer as much variety with the backdrops, there is plenty of room to be creative. Permit:Interior-Exterior: $250/hr + staffing. More info here. This 1930’s original construction in the city’s West end is a spot for you if you are looking for a more historic pioneer vibe to your location. Organic, dark wood and stone elements are some of the highlights of the interior. This red brick haven is nestled in the lush of Don Valley and has a simple rustic decor. If your theme is minimal this is the place for you. Located in Northern end of the city, this one room school house is still filled with vintage school desks and dark wood accents. The symmetrical windows allow for the light to flood the room. This stunning downtown Toronto mansion is laced with intricate wallpapers and velvety lush drapes. Mantles and fireplaces are a great feature, rooms are also peppered with stunning 19th century pieces. Rich in warm colours, this North York museum is the ultimate expression of luxury. Fireplaces, floral wallpapers and beautiful fabrics are perfect accents for wedding with a flare. This beautiful green house is a nature sanctuary in the middle of winter. The lush greenery is a perfect escape from the dread of cold. This hidden gem in the heart of the city is an ultimate expression of classic designs. The winding staircase, rich colours, tall windows & ceilings will be the topic of conversation of your guests long after the wedding! Also, their ceremony room overlooking University avenue is simply breathtaking, check out our cover photo and see for yourself. This historic performance venue has been recently restored and is looking better than ever. The main auditorium is bursting with velvety drapes and walls covered in royal apliquet ornaments. Also, the spacious and bright rooms of the second floor are a perfect ceremony location. Are you an artsy couple? Than the Gladstone is definitely up your alley. With multiple options for reception rooms, from the Bar floor to the gallery floors. Not to mention that the hotel rooms are famously designed by various artists. This stunning building offers bright galleries and beautifully designed architectural spaces for both ceremony and reception. Your photos will look stunning with a backdrop of famous paintings and minimal designs. 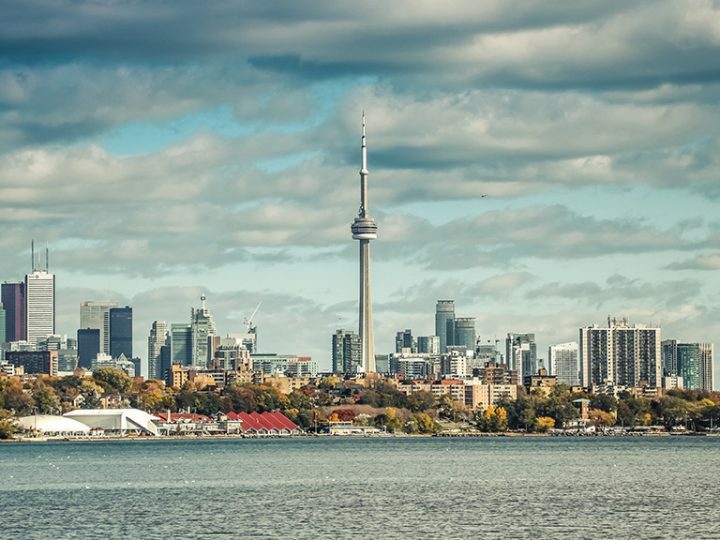 Broadview hotel has reinvented itself in the recent years and is offering reception/ceremony spaces with stunning views of the Toronto’s East end. I am also happy to see that it retained some of its old-timey charm in some spaces, which is a perfect contrast from the minimal modern top floor. This stunning hotel has multiple spaces that will make your special day even more magical. The Crystal Ballroom is a perfect space for a winter wonderland wedding. Plus you have the rest of the hotel to explore during your photo sessions. This is no ordinary church; don’t worry, you can still have your ceremony happen there. This church has been transformed into a magnificent venue space like no other. Add string lights and you got yourself a magical wonderland. Nestled in the core of the city, RCM offers multiple options for your big day. If you are into minimalist open spaces, Leslie & Anna Dan Galleria is just the spot for you. If rustic industrial is your jam, The Autrium is calling your name. A minimal industrial vibe is the highlight experience of this venue. The floor to ceiling windows of the main ceremony space are a focal point of the space and offer stunning views of the downtown. The angles and shapes of this building take my breath away every time I drive by. Clean lines and geometrical cuts offer a fresh twist for your wedding venue. Bright, open clean spaces with blunt lines will make your photos stand out with that fresh look. This romantic venue offers multiple rooms depending on the size of your event. Each better than last and all bursting with elegant architecture. You get access to indoor or the Inn for the photography.